Category Filter module allows admin to filter the category by their id and/or name. 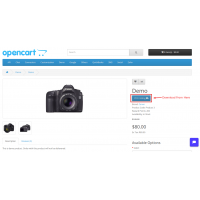 Currently, in opencart, category filter is not present. So it is very difficult to find any specific category. 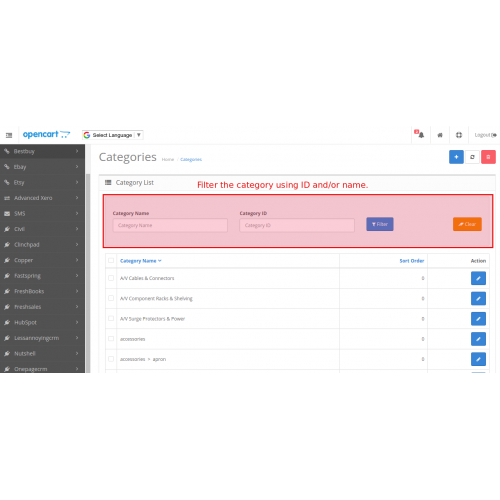 The module simplifies this problem and allow you to find the specific category by their id and/or name. 1. Filter the category by name and/or ID. 2. Clear filter button is also given. 3. No installation required, just upload the OCMod file. 5. Work with all themes.